 90 North is an independent real estate investment manager that operates globally. Their approach gives investors the commercial results they want from investments that are in tune with their values. Spire Ventures invested in 90 North in 2011. The business has had enormous success in growing its Assets under Management to over $1.7 billion by 2018. The business has grown a global brand, and is well-known in the Real Estate market globally. It has 4 offices across the globe in Australia, UK, US and Malaysia and plans to reach $5 billion Assets under Management over the next 5 years. Ethics matter. Our Values matter to us, and we respect yours. Whether religious, social or environmental concerns govern your investments, we meet those criteria. Partnerships succeed. Openness and honesty between investors, vendors and our team builds enduring partnerships where everyone works to achieve common aims. Results count. Finding the best opportunities globally and screening them carefully helps ensure a profitable outcome. We never recommend a transaction that we wouldn’t invest in ourselves.